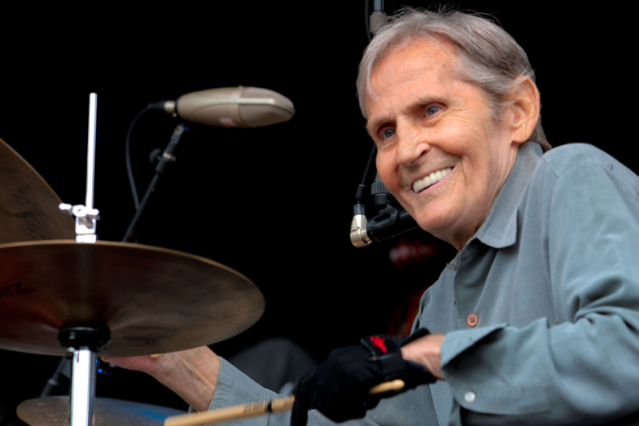 Levon Helm’s wife and daughter have just posted a heartbreaking note on the musician’s website: “Levon is in the final stages of his battle with cancer. Please send your prayers and love to him as he makes his way through this part of his journey” (via Rolling Stone). Helm, now 71, was diagnosed with throat cancer in the late 1990s, but recovered his voice after undergoing treatment to fight the disease and resumed hosting his Midnight Ramble jam sessions in upstate New York. Nevertheless, yesterday the multi-instrumentalist, perhaps known best for serving the Band’s drummer announced that he had pulled out of his appearance at the New Orleans Jazz and Heritage Festival next weekend, the latest in a string of cancellations that cited — even more heartbreakingly — the added struggle of a slipped disc in his back.